For the first time in 5 years, Sting will perform in Hong Kong and Singapore! 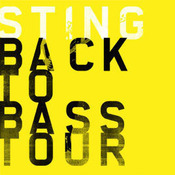 The Back to Bass tour will stop at the Hong Kong Convention and Exhibition Centre on December 2 and at the Singapore Indoor Stadium on December 13. For both concerts, Sting will be joined by a band featuring Dominic Miller (guitar), David Sancious (keyboards), Vinnie Colaiuta (drums), Peter Tickell (electric fiddle) and Jo Lawry (vocals), performing his most celebrated songs, stripped down. Members of the Sting.com Fan Club will have the opportunity to purchase tickets in advance of the general public. Fan Club presales begin at 10AM (local time) tomorrow, September 11. Tickets for the Hong Kong performance will go on sale to the public Thursday, September 13 at 10AM (local time). Tickets for the Singapore concert will go on sale Friday, September 14 at 10AM (local time). Seoul would love to have Sting! Yes, you need to be a paid member to access the password. However, the presale has now finished. You are entering the wrong pass code. If you are a paid member of the fan club you need to login to the website and visit the tour page. Then follow the instructions near the top of the page where you will find the pass code to use. I have browsed the webpage of the HK ticketing office and they asked me to put my password - I think it should be my log-in password of the Fan club. But it says "wrong password"!!! How come? How can I purchase tickets on the web?? ?